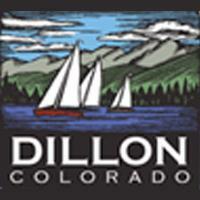 The Dillon Nature Preserve offers a 26-mile trail to hike, bike, ski or snowshoe down lakeside parks and paths in a pristine setting with the best view of Dillon Reservoir and the beautiful Colorado Rockies. Leashed pets are welcome, and this family-friendly park is great for an active day all year round. There are multiple loop trails at different levels, but for the most part very easy and interpretive signs along the way inform you of the wildlife surrounding you.